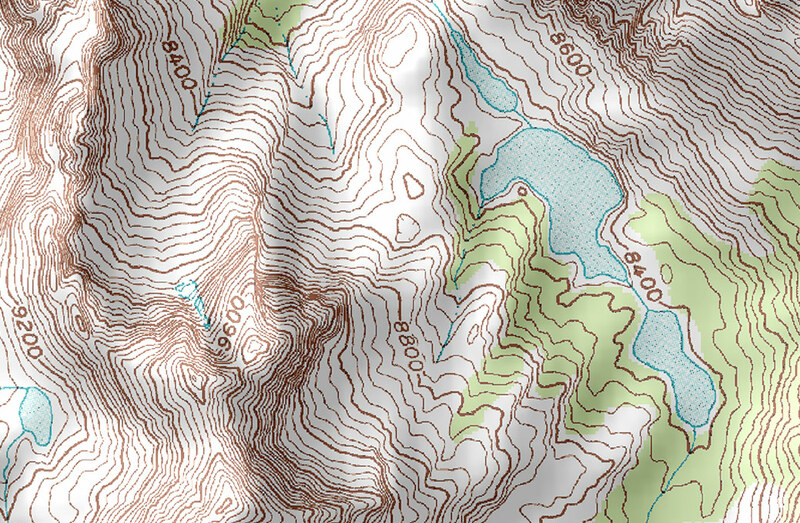 Topographic maps not only show the horizontal features of a map, but the vertical features as well. This map uses contour lines to show the relief of the land. This two-dimensional map is able to portray three dimensions. In this map, the natural aspects of Earth are shown through the contour lines. The numbers on the map show the vertical change in elevation. When the lines are closer together, the change in elevation is drastic; when they are further apart, the elevation isn’t changing as quickly.